In the interests of full disclosure, there isn’t a track I enjoy more than the iconic Martinsville Speedway. For each of the last 12 seasons, I have had the pleasure of writing about the famed old paper clip. I like to make note of the fact that Martinsville hosted the sixth of eight races in the inaugural 1949 season. This weekend, we’ll run the STP 500 which will be the track’s 141st Cup race, a streak that is remarkable for a venue that remains the shortest and slowest on the schedule. Who would have thought all the way back in 1949 that Red Byron’s victory in that first ever race at the half-mile circuit would kick off a run that would still be going some seven decades later? And isn’t it appropriate that at a circuit that has, quite literally, stood the test of time the trophy is an exquisite Grandfather clock? 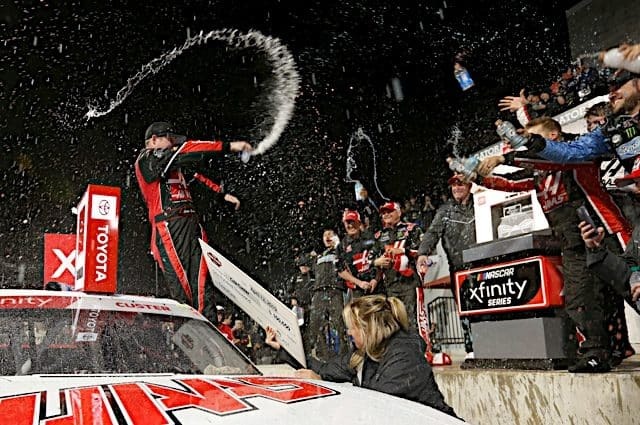 This weekend, then, after a start to the season that has not yielded the expected fruits of the new package by any stretch of the imagination, we could really do with a patented Martinsville special. 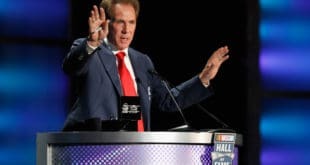 Something similar to what we saw in the playoff race in late 2018, when Joey Logano cemented his spot in the final four and ultimately the championship with a power last lap move. I’ll say it before and I’ll say it again, there isn’t much that ails NASCAR that can’t be fixed (at least for one weekend) with a visit to the Paper Clip. Here’s hoping (and expecting) it’s a great race this Sunday. 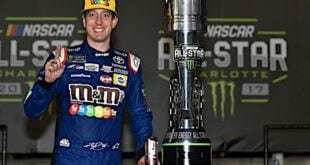 What’s Next for Kyle Busch? 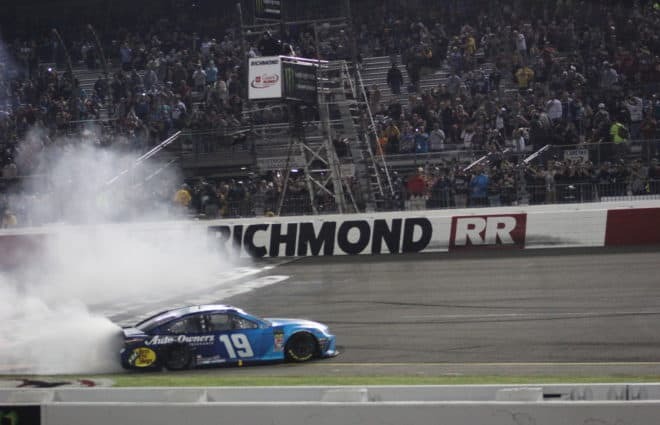 Last week I wrote about why there was zero need to compare the King’s 200 Cup wins and Kyle Busch’s 200 series wins, a result Busch achieved this past Sunday in the Cup race. And I have to say I really enjoyed the comments from last week’s column because they were just that — comments. There wasn’t anything vituperative, rather it was just old-fashioned expression of a particular point of view. I’m sure I’ll provoke ire again soon (maybe even with this column; hopefully not) but in this day and age of very uncivil social discourse, it was good just to see folks making a point calmly and rationally. Now that Busch has hit the 200 milestone, the question turns to how many races can he ultimately win? 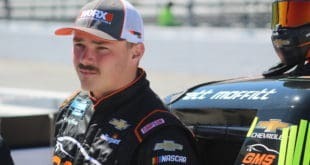 His progress is impeded by the race limits for Cup drivers in lower series, but it also gives him a chance to cherry pick his best tracks so even if he can only run 12 races he can be sure to try the ones he thinks he can win. My guess is Kyle ends up with a final number around the 270-280 win range. I’m not sure he can make it to 100 Cup wins but it wouldn’t surprise me to see him end up close. Interested to see what others think on this topic because when all is said and done, Kyle will be up there with the very best the sport has ever seen. Amidst all the discussion around the strength of Ferrari in winter testing and heading into the season opener once the serious business resumed it was, once again, Mercedes at the top of the speed charts with Lewis Hamilton and Valtteri Bottas obliterating the field in qualifying and finishing 1-2 in the race itself. Bottas even picked up the extra point for the fastest lap – a new feature in F1 scoring this year – making the first race a perfect points day for a team that has won the last five driver and constructor championships. For the Finnish driver, it was a morale boosting fourth win in 119 F1 starts. But for the champion in second place, it was a significant 20-plus second time differential and you can be sure it will be something Hamilton will look to correct a week from Sunday in Bahrain. Starting his fifth F1 season at just 21 years of age, Red Bull’s Max Verstappen looked strong, completing the podium and pushing Hamilton hard for second place. With new Honda engines under the hood, Verstappen and the team will be delighted to be off to such a strong start and hopeful it is a harbinger of what is to come in 2019. Either way, the field is once again chasing the all-conquering Mercedes. 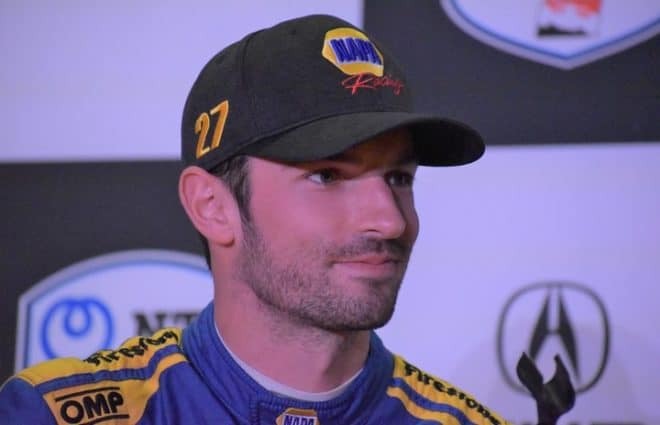 After a fine race to open the 2019 IndyCar season on the street course of St Petersburg, America’s premier open wheel series races this weekend at Circuit of the Americas in Austin, Texas for the very first time. The track has hosted Formula One since it opened in 2012 and this season they’ll run the eighth consecutive F1 race there in early November. But this will mark the first IndyCar event at the slick new(ish) circuit. Team Penske’s Josef Newgarden won the season opener with Scott Dixon in second place and Will Power rounding out the podium positions. 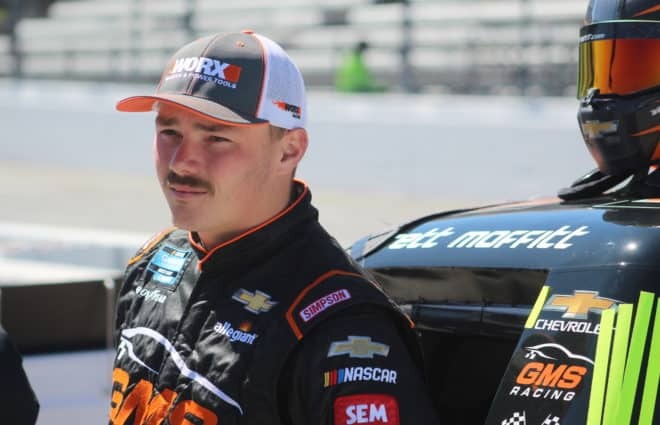 Three rookies also made the top 10 — Felix Rosenqvist was fourth, Colton Herta eighth and Santino Ferrucci finished ninth. One thing broadcaster NBC will be looking to avoid is a picture outage which lasted 13+ torturous minutes in the season opener. Assuming all is well in that area, we should be in for a fun Sunday afternoon at COTA. Who Needs a Good Finish? And finally, this week, yes, it is still early in the 2019 season but after five races several drivers could really do with a top-10 finish to get things kick started. 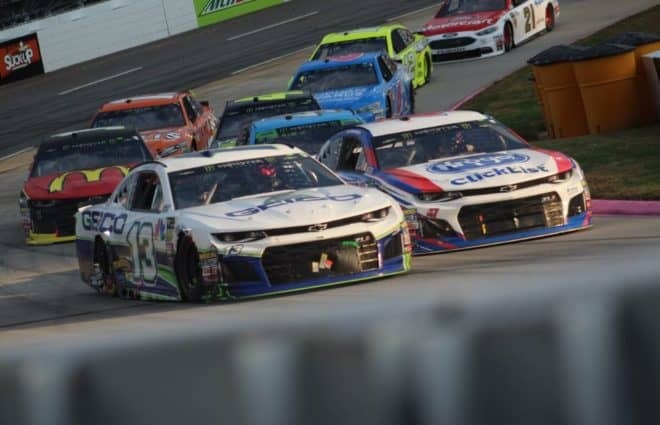 The likes of Hendrick Motorsports duo of Alex Bowman and William Byron (and Chad Knaus for that matter) for example who drive an organization remarkably without a top five after five races. Bubba Wallace could especially use a decent finish with a season best 22nd place at ISM Raceway; only four other drivers who have attempted every race have a lower point total than the second-year driver of the iconic No. 43. 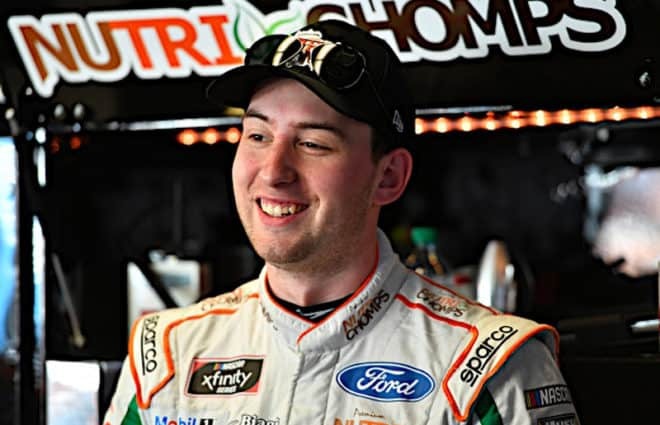 Ryan Newman with his new Roush Fenway Racing team could also sorely use a top 10. Paul Menard, who typically starts the season well, would be another after a good finish. But like I say, it’s still early. Or, is it?